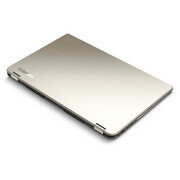 Overall, the Toshiba Satellite Radius is a good take on the flip-and-fold design pioneered by Lenovo. 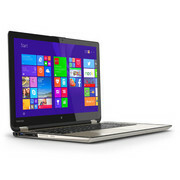 In addition to its multimode versatility, the laptop sports a gorgeous aluminum exterior, a vivid 1080p screen, rich audio, long battery life, and surprisingly powerful internal components for the price. There are some caveats, however. 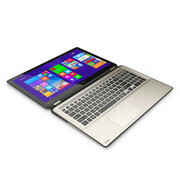 With its slim design and excellent performance, the Toshiba Satellite Radius P55W-B5224 is one of the best convertible-hybrid systems we've reviewed. 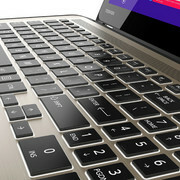 Admittedly, the 15-inch size is too big for most people to use as an on-the-go tablet, but for a 15-inch laptop that also offers touch and tablet functionality, it's hard to beat. With superior performance and longer battery life, the Toshiba Satellite Radius P55W-B5224 is easy to recommend, making it our Editors' Choice for midrange convertible-hybrid laptops. 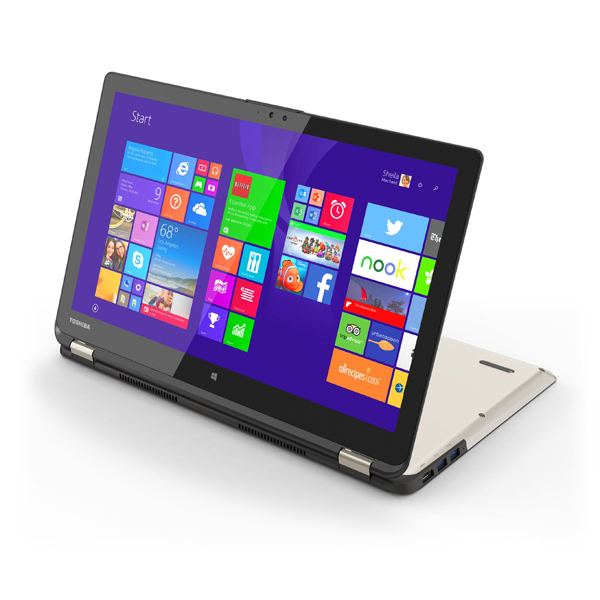 Toshiba has a winner on its hands with the Satellite Radius P55W. This attractive multimedia notebook gives solid performance and can go from work to play and back again with the flip of a hinge. You probably won't use this system in tablet mode often, but it's nice to know you can kick back with a touch-screen game or watch a flick without the keyboard getting in the way. 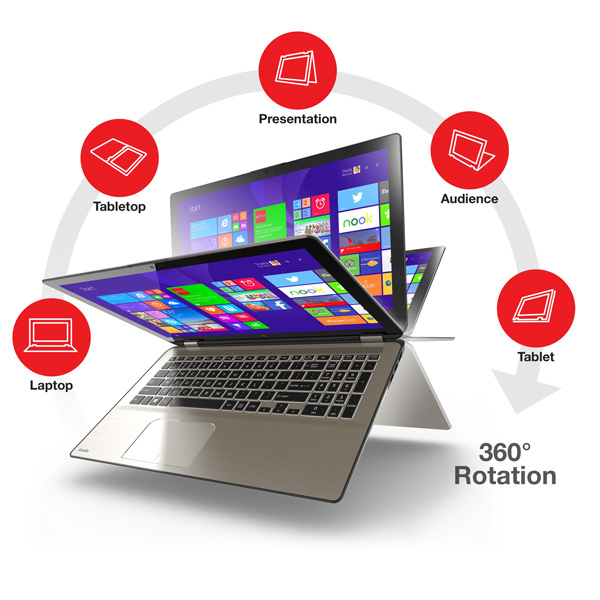 Toshiba’s new Satellite Radius “2-in-1″ convertible laptop may not revolutionize the category, but if you’re looking for a large-screen laptop that can convert to a full slate, you could do worse than the Radius P55W-B5224, provided you don’t need bleeding-edge performance. 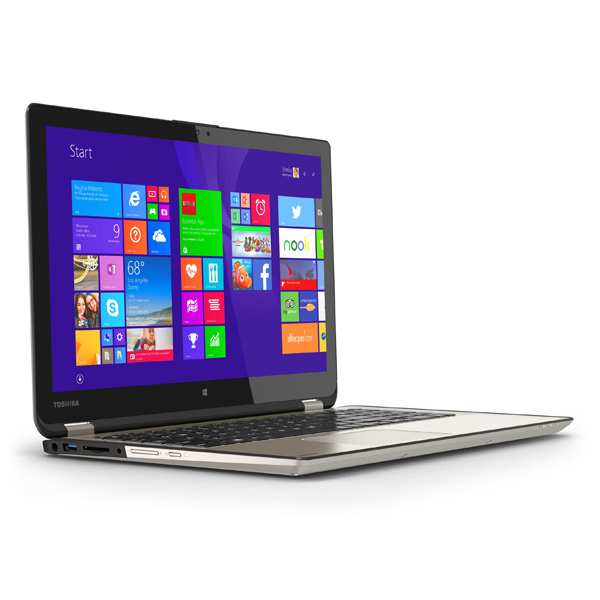 The Toshiba Satellite Radius P55W is a 15-inch convertible with enough power to handle most work-related tasks. There are five modes to choose from: traditional laptop, tabletop, tablet, presentation and audience. 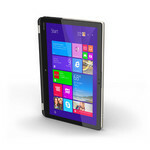 It's equipped with a 15.6” screen that supports 10-point multi touch. 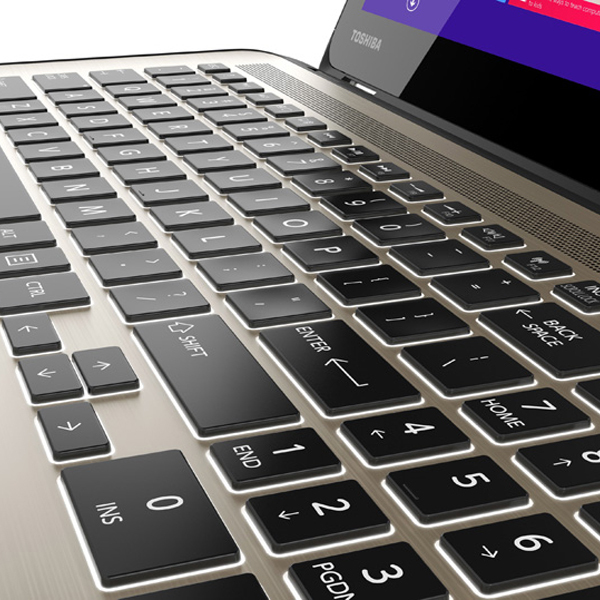 The FHD 1080p display uses IPS technology. Watching videos on this device will be a joy with the nice viewing angles and color reproduction of the IPS technology together with the high-resolution. Toshiba claims that the battery can last up to 8 hours of mixed use, which judging from the processor seems to be a pretty fair claim. 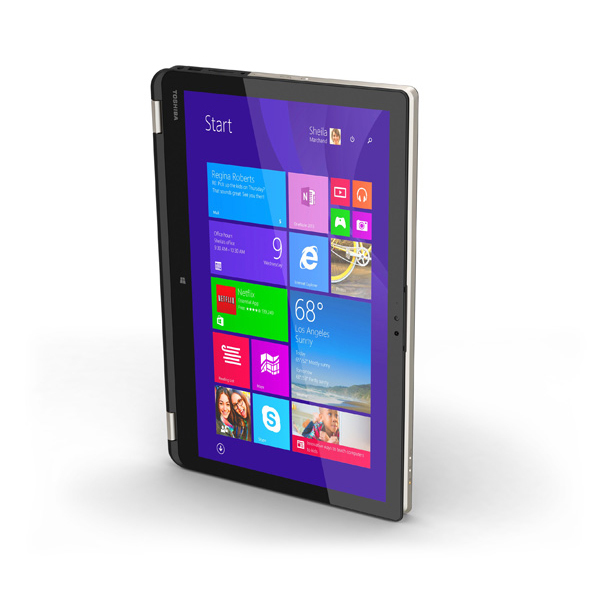 The convertible weighs about 5 pounds (2.27 kg), which makes it a pretty heavy tablet but it gets the job done.